If there was ever a moment for “it’s about f***ing time” to be brought out this is it. After a protracted development cycle that saw a series originally supposed to be finished in 2011 slip into 2017, five years after the last installment of the franchise was released you’d be forgiven if fans were a little anxious. 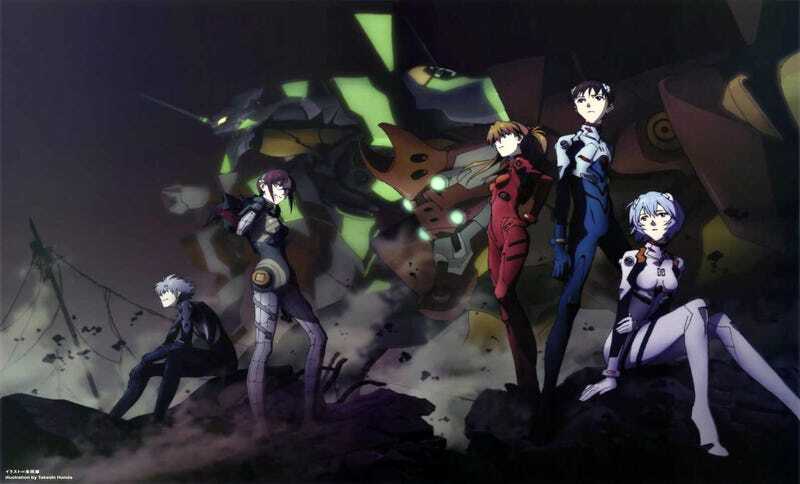 Well according to Studio Khara the new and final Rebuild of Evangelion film is finally in production. Although not much is know about the film at the moment it is supposed to be the finale in the series. Furthermore the “:||” symbol on the English name is supposed to represent repeat from beginning. Considering that one theory that since 3.0 seems less a theory and more a confirmed fact there will hopefully be some closure to the series as a whole as this will likely (hopefully by this point?) be the last piece of Evangelion media for sometime. Now word yet on the actual release date of the film however I expect we won’t be seeing it until 2018 at the earliest. Funny enough if the series does slip into 2018 the six years since the last installment will be longer then the five years it too Khara to release the first three.